Bring the athlete in you out with the W288BT. 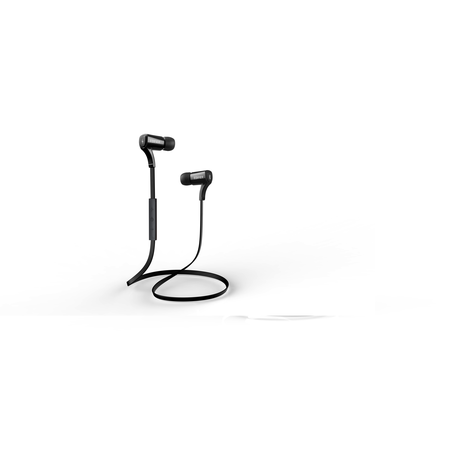 Designed for those who listen to music when working out or playing sports. Unique design keeps them in place all day long and with Hi-Fi unit technology the sound is so amazing you have no reason to take them off. And if someone dunks a water bottle on you, it's okay; these are wireless, water resistant Bluetooth earphones. Bluetooth 4.0 allows for high transmission between your device and the earphone. NFC allows faster connection and there is no need to sync your device every time you want to use the W288BT. You can connect up to two devices at the same time through Bluetooth. A 60-degree tilt permits Edifier's W288BT to stay put while you move around. For more rigorous exercises, a pair of silicone ear hooks are incorporated for reassurance that they will not move. These lightweight earphones also come with three pairs of silicone earplugs for comfort. Switch from music to voice call with a click of a button on the inline mic/remote. Producing HD sound and built with CVC noise reduction, every song and conversation will have clear sound.